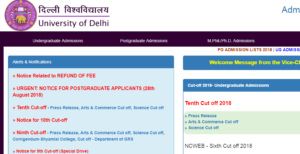 Delhi University Colleges List 2019: Cut Off & Rank Predictor Tools – Delhi University Cut Off will be released in different formats. Last year, in the beginning, DU First Cut Off was released by St. Stephen’s College, Delhi. 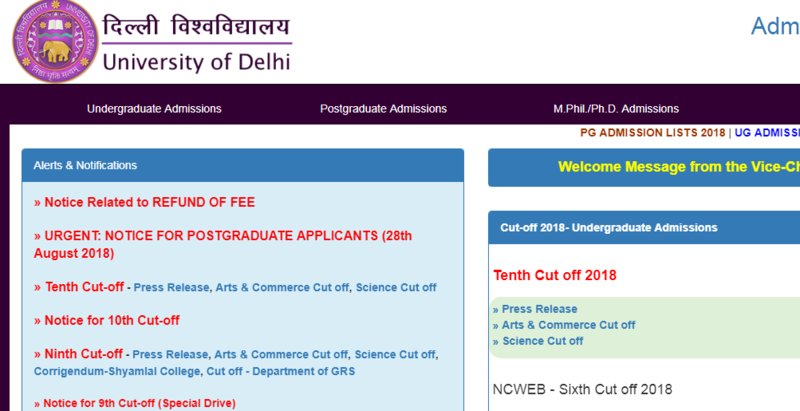 For 66 different colleges, University of Delhi 2019 Cut Off will be released. The final list includes – Zakir Husain Post Graduate Evening College, Zakir Husain Delhi College, Vivekananda College, St. Stephen’s College, Swami Shraddhanand College, Sri Venkateshwara College, Sri Guru Teg Bahadur Khalsa College, Sri Guru Gobind Singh College of Commerce, Sri Guru Nanak Dev Khalsa College, Sri Aurobindo College, Shyama Prasad Mukherji College for Women, Shri Ram College of Commerce, Shyam Lal College, Shaheed Sukhdev College of Business Studies, Shivaji College, Shaheed Bhagat Singh College, Shaheed Rajguru College of Applied Sciences for Women, Satyawati College, Ramjas College, Ramanujan College, Ram Lal Anand College and Rajdhani College etc. Delhi University Admission 2019: Hashim Alam and Vipin Kumar Arrested!